Buying a Property to be your Home? Remember these things! So you’ve finally decided to invest your money in something tangible – a property that could be your home (or your first investment) in the coming years. Congratulations, you are one step ahead of many people. According to Ivana Trump, the wife of American business magnate, Donald Trump, real estate is something that everyone should look into. "I always felt very secure and very safe with real estate. Real estate always appreciates." So now that you on the right path, let us just give you some few tips on the things you should bear in mind when embarking on your first property acquisition. 1. Balance your needs vs your wants. Do you need a two-bedroom condominium or you just want it? Do you need a house and lot or condominium living is more practical and appropriate for you? Balance your needs and your wants and see what property is really suited for you. You have heard this adage many times but this is really relevant. How do you envision your life to be when you finally step into your property? Do you want the rustic and green environment like the properties in Nuvali? Do you want the hustling busy night life of the city? Do you want a property that is just inside Makati which is stone’s throw away from your office? Consider all these things when you head on for your property search. 3. Check the neighbourhood out. This is of course very important when you start inhabiting your home. Most developers though would have taken care of this aspect as they make sure that their properties are in prime developed areas where their tenants would have everything they need. 4. Conduct a background check of the developer and check out reviews of their turned-over properties. Different developers have different specialties. Some focus on resort-type low-rise condominiums; others on high-rise and hotel-like properties. Again, it goes back to your preference. What is it that would suit your lifestyle? 5. Review the financing options. Make sure to go into great detail about payment schemes and financing options of the properties you are targeting to buy. 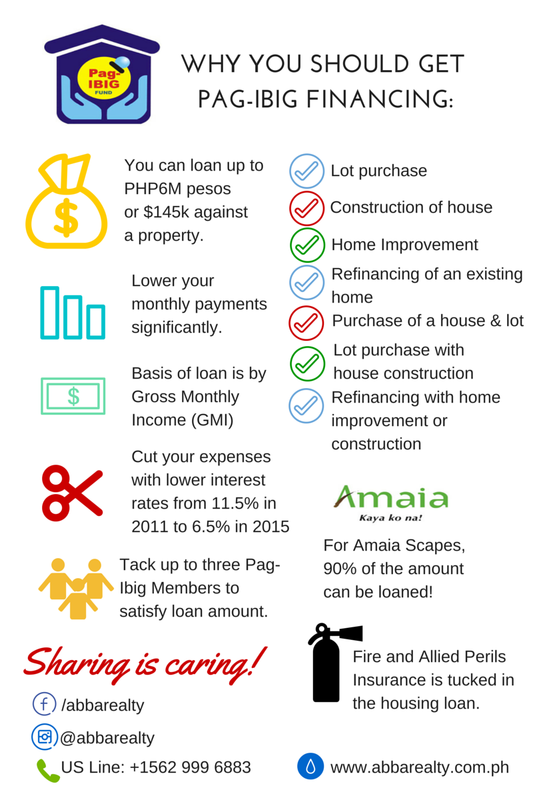 Here in Abba Realty, we have a strong partnership with Pag-ibig to help you ease in to your buying process. Buying a property with the help of Abba Realty will guarantee you a headache-free transaction which will save you time and a lot of effort. Contact us today and let us know how we can be of help and we will make sure that you get that haven of yours in no time. Are you an OFW? Read this now! Our OFWs are one of the pillars of our country. According to the National Statistics Office, there is an estimated 2.2M overseas Filipino workers scattered all over the world. The total remittance sent by OFWs during the period April to September 2012 was estimated at 165.6 billion pesos. Can you imagine that? Our beloved OFWs work so hard abroad to send money to their families here in the Philippines. But where do these remittances go? Mostly for daily household expenses, tuition fees and the like. However, there is a growing number of OFWs now who are becoming smarter with their remittances – they are starting to invest in properties. Investing in properties is one of the wisest thing that you can probably do. Real property appreciates over time and more than that, you will be assured that you have somewhere nice to go home to when you visit the Philippines. What’s even better about this is that properties are becoming more and more affordable. Here in Abba, we partner with Pag-Ibig to bring property investments closer and easier to you. Did you know that in as little as USD120 a month, you can already acquire an awesome property from one of the Philippines’ leading developer, Ayala Land? Abba Realty believes and appreciates your hard work and perseverance and we help you reward yourself by helping you become a member through our seminars here in the US. Normally, if you are not yet a Pag-Ibig member, you need to schedule a seminar with the said institution so that you can avail of their loans and that would take 1 to 3 weeks. We make it easier, faster and more reliable so that you can start buying your investments in no time. So what are you waiting for? 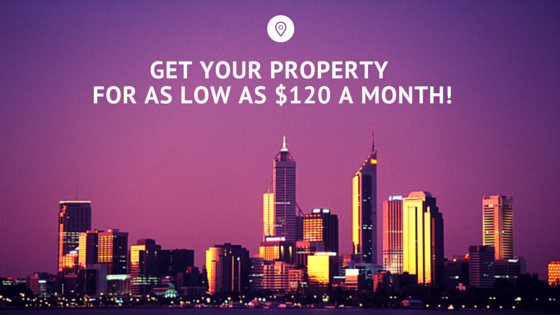 Be smart with your hard-earned cash and invest on a property today! Message us on Facebook>> or call us via our US Line at 001 562 443 8556. Investing in a property is a big decision as it entails a lot of money. Many are discouraged because they do not have the capital to finance the property that they want to get. Here at Abba Realty, we make it easy for our clients to achieve their dreams with our good partnership with Pag-ibig Fund. Here are some reasons why Pag-ibig and Abba will get you closer to your dream house.